With two benches and an additional two stools, this Water View Table is great for larger parties, and it will enhance any dining experience with its delightful touch of nature. 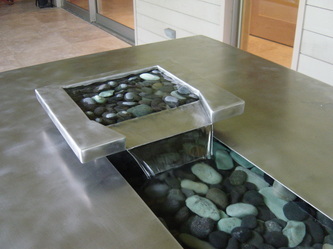 Simple yet elegant, the highlight of this piece is its water feature. In the center of the table, water falls from an elevated body and then flows into a long rectangular riverbed, providing a nice creek sound. 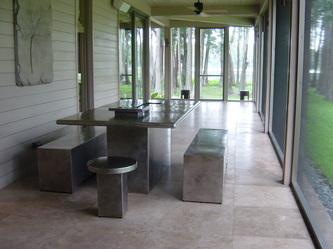 Enjoy nature's acoustics as you dine at this memorable table. 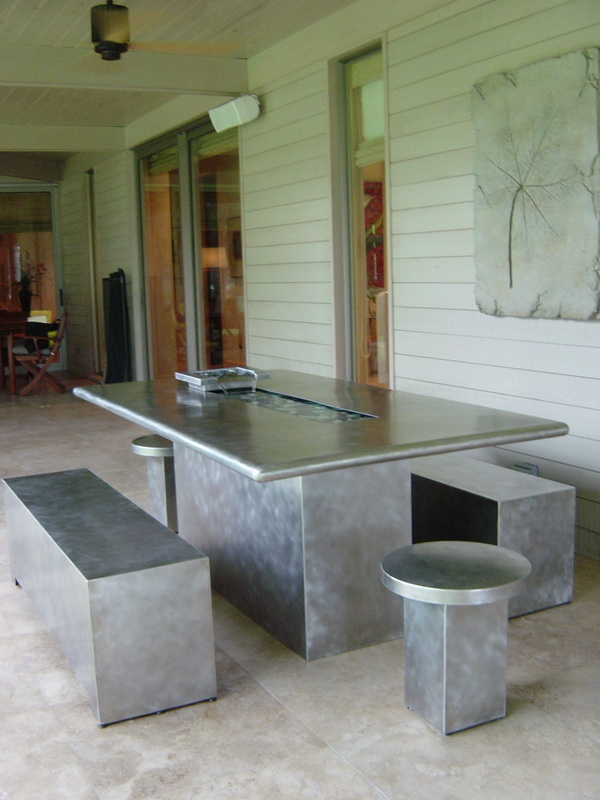 Even further, the surface of this table can be customized with wood, granite, glass, or composition material to give it that extra uniqueness that you may desire.